Street Trees | Save It! 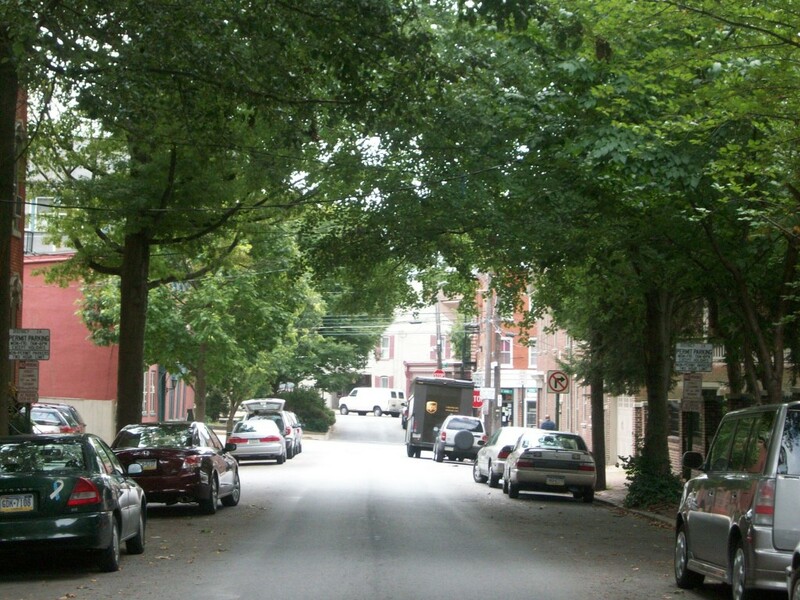 In the City of Lancaster, trees are generally located in either the public right of way (i.e., street tree) or on private property. Street trees are typically located along sidewalks adjacent to streets. Why are street trees so important? Trees are one important component in the City’s overall green infrastructure plan. 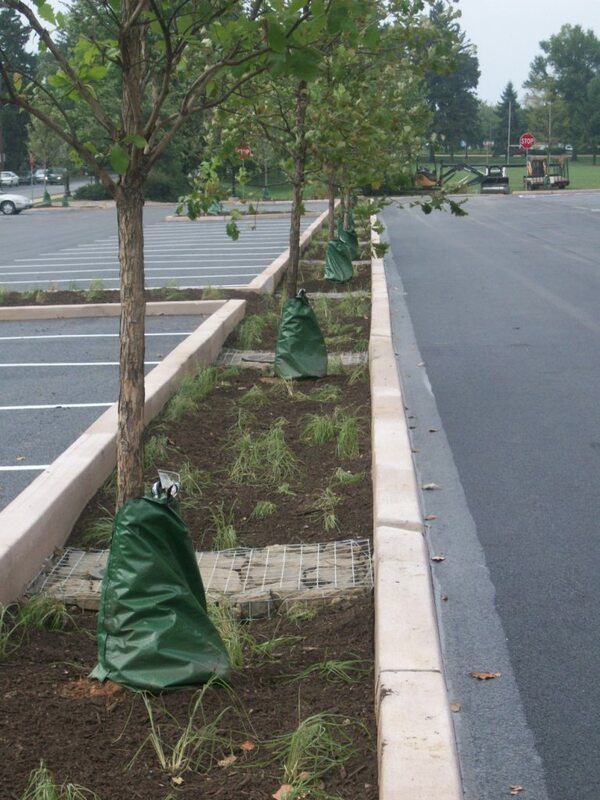 Tree canopies reduce the amount and rate at which rainwater strikes the ground, thereby reducing erosion and stormwater management costs. While stormwater benefits vary by species, size, etc., it is estimated that a single tree can manage about 3,440 gallons of stormwater annually. Multiple that by 6,000 street trees (which doesn’t include all the trees on private property) and more than 20 million gallons of stormwater is being intercepted by trees instead of going into the combined sewer system! The City of Lancaster updated its Tree Ordinance, Street Tree Planting List, and Tree Manual in 2014. Well-maintained trees in residential neighborhoods also can significantly increase the value of homes and property by creating a sense of privacy and adding to the beauty of the landscape. Commercial areas benefit too, as studies have shown how tree lined store-fronts increase the likelihood of shoppers, increase the length of time people shop, and increase the amount shoppers are willing to pay for goods. These economic values increase the amount of property and other taxes available to the City. Cooling and heating costs can be reduced by strategically placing trees around buildings and roads. This shading and cooling provided by community trees helps to reduce energy needs and bills. Trees are known to provide many mental and physical health benefits to people. They help filter particulates out of the air, absorb carbon dioxide, and emit oxygen. Street and park trees offer mental and emotional restorative properties to people by helping to mitigate noise, providing a contrast to hard concrete surfaces, by establishing a connection to the natural world, and importantly, by reducing stress. All these benefits not only make people healthier, but also reduce health care costs. You as the property owner are responsible for maintaining and caring for your street tree; including watering and feeding; trimming, pruning and spraying; and removal of the tree in the event of its death. I want to prune, trim, remove (or anything else!) my tree, but I was told I need a permit. Is this true? Yes, if it is a street tree. You need to obtain a written permit from the City of Lancaster Arborist Jim Bower and the City’s Shade Tree Commission (717-291-4841) essentially before you do anything to your street tree including pruning, trimming or removing. A permit will be issued from the City of Lancaster’s Bureau of Parks and Public Property. You will be required to complete the work within a specified time period, not to exceed three months. For trees on private property, you do not need a permit. However, if you have questions about your trees – public or private – the City Arborist is available to answer questions and refer you to additional resources. I want to plant a tree, but I was told I need a permit. Is this true? No, not if you are planting a tree on private property. However you should keep in mind several factors when selecting a planting locations: proximity to power and cable lines overhead, underground utilities, and foundation of your home. Why can I only plant certain types of trees? I’m concerned about future sidewalk damage. Do I have to plant a tree? Please consult with City Arborist Jim Bower about your site and personal concerns. Future sidewalk damage can be avoided by choosing a tree variety that best suits each situation. All trees removed must be replaced within one year of the removal unless exemption is granted by the Shade Tree Commission. I got a letter saying I needed to trim/prune my tree. Who do I call and what kinds of questions do I need to ask a potential contractor? If you have questions about pruning and maintenance please contact City of Lancaster Arborist Jim Bower (717-291-4841). The City of Lancaster maintains a list of Registered Tree Contractors that are insured to do business in the city. (Please note that this list is not an endorsement of these contractors.) You’ll also want to be sure they have experience removing trees in an urban environment. I have an empty tree well in front of my property. I want to fill it in with concrete. Is this allowable? You’ll need a permit. Please contact City of Lancaster Arborist Jim Bower (717-291-4841) who will review your request. Generally speaking, the City is disinclined to allow the removal of a street tree well. However there are exceptions. If you do not get a permit and fill in a tree well and do it anyway, you will be required to pay for a street tree to be planted elsewhere in the City. I want to add a tree well in front of my property. Who do I call? What is the Shade Tree Commission? The Shade Tree Commission, works in conjunction with the City Arborist, to maximize the benefit derived from public shade trees by establishing policies for the planting, removal, maintenance and protections of trees along City streets and sidewalks. The Commission meets as necessary, usually the third Tuesday of each month, at 8:00 AM in Southern Market Center, 100 South Queen Street. Call 717-291-4846 for more information. 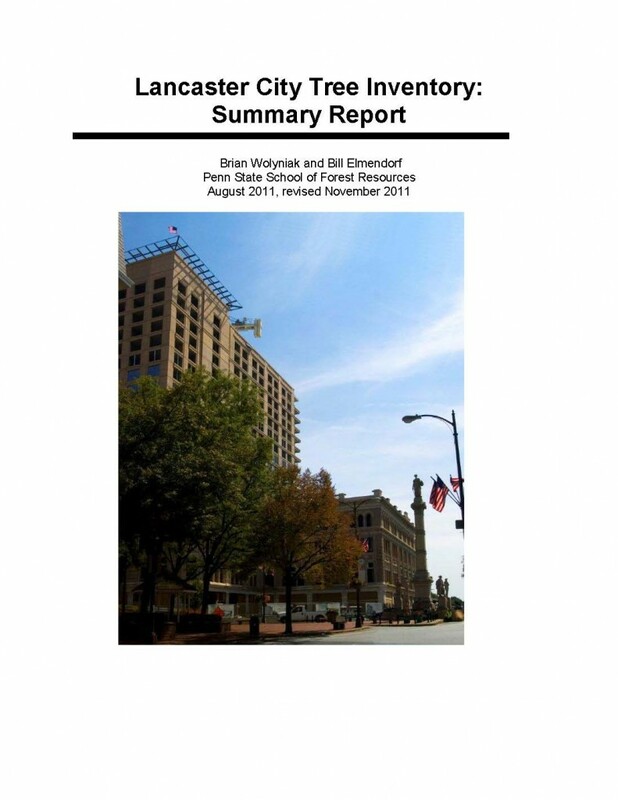 During the summer of 2011 the Shade Tree Commission in partnership with LIVE Green and the City of Lancaster undertook a comprehensive Tree Inventory. An accurate street tree inventory provides the foundation for which annual work plans and budgets are based. Knowledge of the community forest species composition, condition, and age helps to create a prioritized maintenance plan for annual tree pruning, removal, and planting. for all street trees in the City of Lancaster. We currently have 5,483 trees with 77 different varieties identified.